Photo Credit: Brooke Bocast. 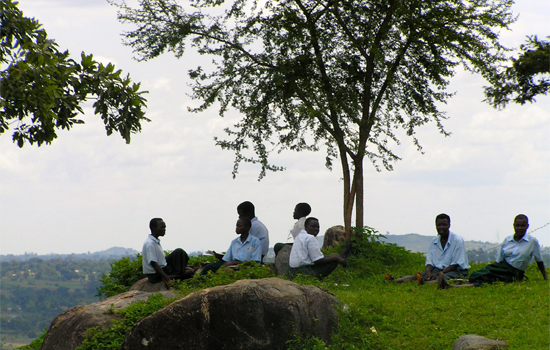 Students from the Abayudaya community, Uganda. Feedback Labs recently hosted a LabStorm with Dr. Brooke Bocast, an anthropologist studying the dynamic and co-dependent interplay between a small US-based donor organization, its recipient community, and the individuals within that community. Individual girls from the community began emailing the donors to complain about how the community spends the money. It gives to the Abayudaya Jewish community in Uganda for a set of activities including education scholarships and “girls’ empowerment”. By giving to the community, the donors actually give to an Abayudaya Executive Council (AEC) that, in turn, brokers who receives scholarships. Both boys and girls receive annual scholarships. Girls, boys too however, have been threatened to have their scholarships not renewed if they are not dating within the community, or if they are not dating at all. Implicitly (and perhaps explicitly) is the community imperative to promote Jewish marriage, procreation, and expansion of the community. They are forbidden from communicating with the donors without the AEC. They are, yes, but this edict lacks “teeth”. What is the donor organization supposed to do with the ad-hoc, un-programmed individual feedback? Whose interests dominate in this tense landscape—the community’s (defined and captured by a few), the individual’s, or the donor’s? And whose interests should matter most? How do we begin to define “community”? What incentives might encourage the NGO to act upon constituent feedback? What incentives might drive AEC members to more fully support female students? In practical terms, how might we design an intervention that would account for all of the complex social relations in this (and other) community? In what terms might this project be considered a success? Bocast’s full article will be published later this year.